Team fee includes – team jersey and ride day team tent, food, etc. (The beer sponsorship that we do over the year & during the ride is 100% on us.) Note: Your jersey will not be mailed to you, it will handed out a few days prior to the ride – more details closer to ride weekend. ***Team Left Hand registration fees are non-refundable, non-transferrable and not tax-deductible. Jerseys must be claimed within 30 days of ride completion or they will be donated back to Team Left Hand. Team Sign-up closes May 15th, OR when the team fills up. YOUR RECEIPT WILL INCLUDE YOUR PASSWORD FOR SIGNING UP ON THE OFFICIAL BIKE MS SITE. Slim fit cut. Only available on jersey sizes XS–3XL. This item requires us to meet a minimum of 5 jerseys for ordering. If we are unable to meet this, you will receive the regular team jersey. Bibs will match 2019 team jersey. 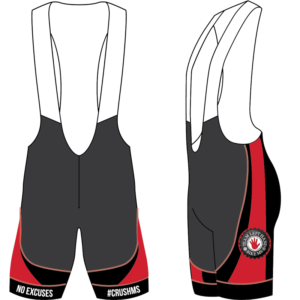 Shorts will match 2019 Team Jersey. 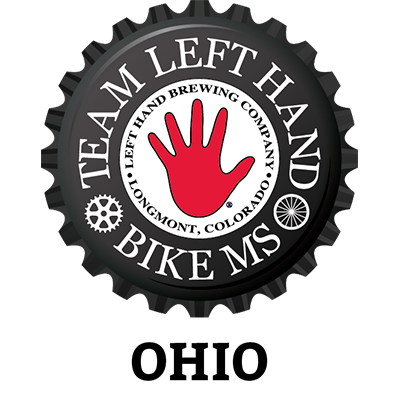 It’s been said that “one person can change the world, so imagine what a team can do!” That’s Team Left Hand Brewing’s goal – to make MS stand for Mystery Solved! We plan to raise more money than last year, AND we’re going to have fun doing it. Team rides, cool jerseys, ‘fun’draisers, and, of course, beer – all while raising funds for an amazing cause. We want to help the National MS Society fund research, advocate for change, and help people with MS and their families lead powerful lives. We believe in the work they do and we want to be a part of it. Will you consider joining us? 1. This is for the Ohio Buckeye Breakaway ride only. 2. Please note – your jersey will not be mailed to you, it will handed out a few days prior to the ride – more details on the pick up party closer to ride weekend. 3. Please check out with your real name & email address so we can email you the password, newsletter, etc. If you don’t, we can’t get in touch with you! 4. All jerseys must be claimed within 30 days of ride completion or they will be donated back to Team Left Hand. 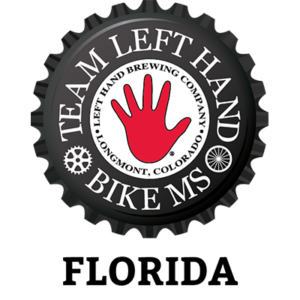 If you can no longer participate in the event and would like to claim your jersey make arrangements with sara@lefthandbrewing.com. We look forward to riding with you this year!